Having trouble connecting to your wireless router or your computer drops the connection to your wireless router often? There are a slew of reasons why you might not be able to connect to your wireless router, but one of them may be the fact that the wireless channel is being interfered with by other devices in your home/office. Most wireless routers use the 2.4 GHz range to broadcast the wireless network. Unfortunately, there are tons of other devices like cordless phones, wireless printers, wireless monitoring equipment, etc that can also use that 2.4 GHz range. Some of the newer wireless routers have two broadcast signals, a 2.4 GHz and a 5 GHz. If your computer supports the 5 GHz signal, you’ll catch a lot less interference since it’s still new and not being used by every wireless device currently made. Further breaking down the 2.4 GHz signal, there are 11 channels that make up the range. Most wireless routers are set to Auto and default to channel 6. Sometimes when you restart the router, it will automatically choose a different channel to boost the wireless signal. If you have a large number of wireless devices in your home and are having trouble connecting or maintaining a proper connection to your router, consider changing the channel and see how that affects performance. You can also use this method to try and increase your wireless signal. If there is less interference on a different channel, you’ll be able to connect from a longer distance. 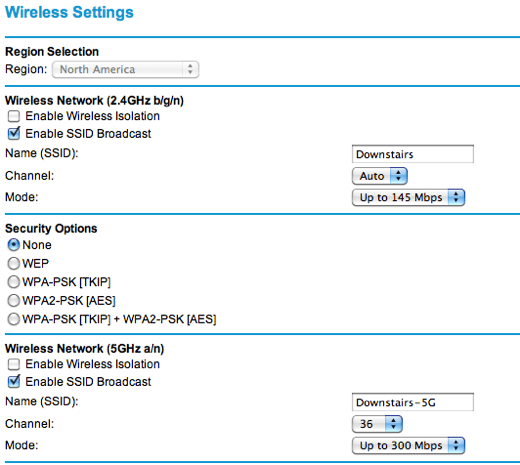 have an AT&T router and once I login into the web interface, I click on Settings and then LAN. Since we want to adjust the wireless settings, I would next click on Wireless. Under the heading Network, you can see there is a drop-down box named Wireless Channel. It also lists the current wireless channel, which is 11. There is also a rescan button, which finds the channel with the least interference and sets the current channel to that number. In my case, 11 seems to work best for all my wireless devices. 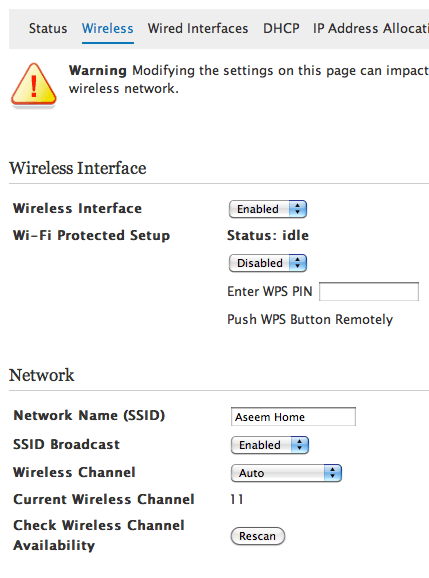 When you go into the web interface for your wireless router, you are basically looking for “Wireless Settings”. 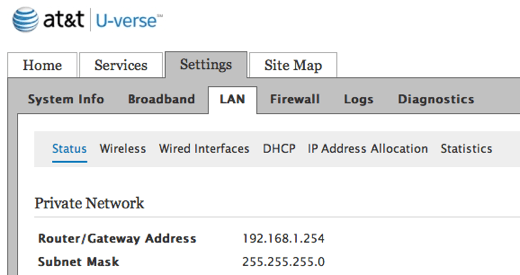 For a Netgear router, for example, they have Wireless Setup under Setup on the left navigation menu. Clicking on that will give you the wireless settings, where you can change the channel. My router is newer, so it has settings for both the 2.4 GHz network and the 5 GHz network. For the 2.4 GHz signal, your channels are 1 thru 11. For the 5 GHz network, your channel choices are 36, 44, 149, and 157. Again, this is a simple, yet effective way to fix a lot of wireless problems that can be caused by interference from other wireless devices. If you are having trouble finding the setting, post a comment here and I’ll try to help. Enjoy!